Patriot Gold owns a 3% royalty on the Moss Mine, scheduled to enter production before year-end 2017. The Moss Mine is owned by Northern Vertex Mining Corp. ("Vertex"), and Vertex has continued to make progress toward its announced intention of commencing gold production in Q4, 2017, and has also recently announced a Preliminary Economic Assessment relating to the Moss gold mine expansion to include additional resources. Patriot also owns a 2% royalty on the Bruner gold project, one of the most significant recent gold discoveries in Nevada. The Bruner gold project is owned by Canamex Resources Corp ("Canamex"). Canamex has commissioned a new resource update for the Bruner gold project and an updated Preliminary Economic Assessment that is expected out before year-end 2017. Patriot has also recently completed a National Instrument 43-101 technical report regarding its 100% owned Vernal project in Nye County, Nevada. The Vernal project is an early stage gold exploration project. The report is an independent review and evaluation of the geology and mineralization of the Vernal project, including all exploration work carried out to date. 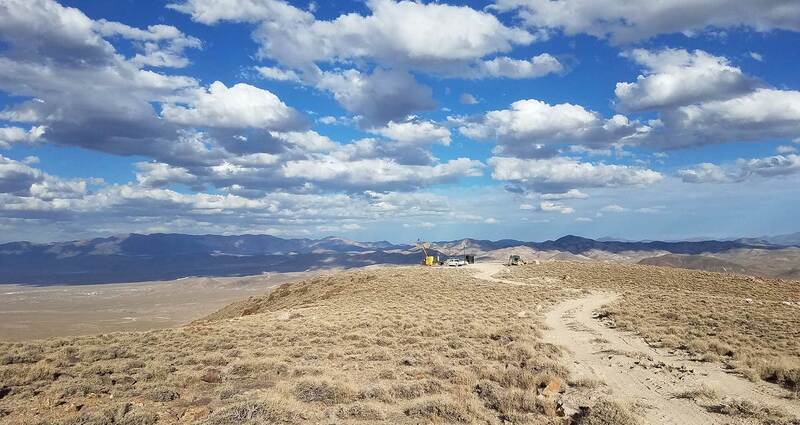 Patriot's 100% owned Windy Peak project, located in the Fairview mining district in southwest Nevada, has been the focus of extensive historical work, including geologic mapping, rock and float sampling, geophysical surveys and drilling. The Company is currently evaluating the project more fully. Patriot has also commenced trading on the Canadian Securities Exchange (CSE) as of May 2017, and announced a Normal Course Issuer Bid to purchase up to 3,912,760 common shares of the currently issued and outstanding common shares of the Company.